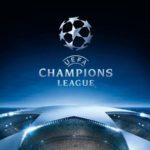 The week 2 of UEFA Champions League witnessed lots of incredibly unpredictable results that may have a long bearing on the footballing careers of some players and coaches. 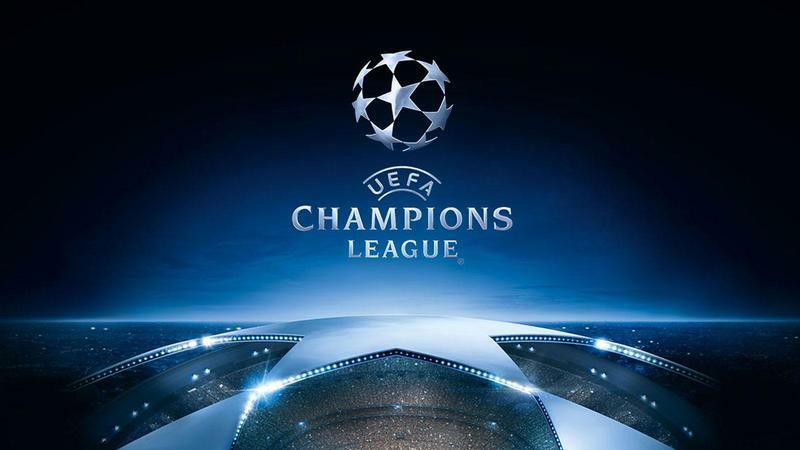 A Ronaldo-less Real Madrid was drubbed badly away by a lowly CSKA Moscow, an average looking Bayern Munich was held by a much improved Dutch side Ajax while a one dimensional Tottenham side were bulldozed by Spanish giants Barca at home courtesy a brilliant brace by Lionel Messi. But there some expected match results on the day with goals galore.A Neymar hattrick helped Paris Saint Germain pump in 6 goals past a weak Red Star Belgrade side, while a Edin Dzeko hattrick helped Roma to defeat a hapless Viktoria Plzen. As usual there were some standout individual performances and based on that we have identified the UEFA Champions League- Team of Week 2. Based on a 4-1-3-2 team formation, we have identified these players as top performers in Week 2 of UEFA Champions League 2018-19 season. Roman Burki (Goalkeeper, Borussia Dortmund) – Burki continued his great form and made some crucial and jaw dropping saves in both the halves to keep French side Monaco at bay. He made a total of 5 saves and 2 saves from within the penalty box. His ball distribution was also admirable with a pass accuracy of more than 81%. Noussair Mazraoui (Right Back, Ajax) – The 20 year old Moroccan international performed splendidly against German giants Bayern Munich. He finished coolly a great goal which was expertly set up by Dusan Tadic. He won 4 out of 5 tackles, made 3 crucial interceptions, fed 5 long balls and completed 2 take ons. His passing accuracy was also an impressive 82 %. Matthijs De Ligt (Central Defender, Ajax) – The 19 year old Dutch defender already looks a world beater. He looked like a player with a 100 caps under his belt with his position sense and composure. In his Champions League debut match he never allowed an inch to one of the most accomplished modern day striker Robert Lewandowski. He won almost 80% of his duels, won 4 tackles and made 3 vital clearances. His ball distribution was effective and his passing accuracy was more than 85%. 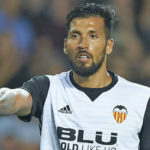 Ezequiel Garay (Central Defender, Valencia) – The Argentine defender had a fabulous outing against a lacklustre Manchester united. He bottled up Romelu Lukaku with ease and negated any kind of aerial threat by him in the box. He made 6 clearances, 5 important interceptions and fed going forward with 4 delightful long balls. His ball distribution from below the field was exemplary. 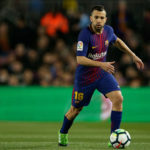 Jordi Alba (Left Back, Barcelona) – What a night the Spanish left back had. He provided sumptuous 3 assists in the match. He was a menace with his marauding runs down the left and split open the Tottenham defence wide open with tricky runs. He made a total of 5 key passes and also made 3 vital interceptions. His passing accuracy was a high 85%. He was too energetic and inventive for Tottenham to deal throughout. 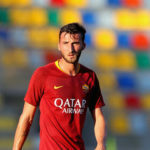 Bryan Cristante (Central Defensive Midfielder, Roma) – The on-loan midfielder from Atalanta to Roma probably played the biggest match of his life and performed very well in front of his home crowd. He looked immensely calm and composed against his opponents and not only destroyed most of their attacks but his link up with his team mates were brilliant. 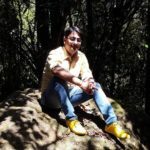 He not only won almost all his one on one duels but also made 5 successful tackles in the match. Bryan’s passing accuracy was an astonishing 93%. 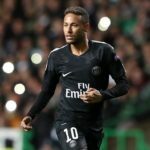 Neymar (Left Winger, Paris Saint Germain) – PSG boasted of a masterly attacking lineup but no one was as scintillating as the Brazilian maestro Neymar. He scored a superb hattrick. His first goal from the free kick was a treat to watch. His link up play, his grace,his audacious moves and frequent unselfish passing were worth the price of entry alone. He made 5 key passes and won 7 take ons against his opponents. Marco Reus (Central Attacking Midfielder, Borussia Dortmund) – The skipper had one goal and one assist to his credit. He also won the penalty which was eventually missed by Paco Alcacer. His movement, passing and link up play with the wingers were a treat to watch. 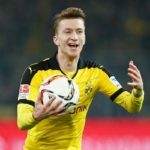 Reus made 4 key passes, 4 interceptions and won 7 one on one duels with his opponents. His passing accuracy was also a creditable 83%. 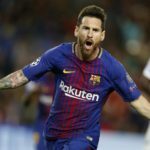 Lionel Messi (Right Winger, Barcelona) – The Argentine superstar continued his majestic form and scored a wonderful brace. He also set up the first goal with a defence splitting pass which Alba expertly aided Coutinho for an easy finish. Messi’s on and off the ball movement was a spectacle without a pause. He made a total 4 key passes, won 3 take ons and also won 7 one on one duels with his oppoenents. His passing was also an impressive 83%. 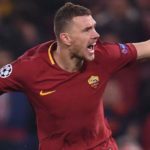 Edin Dzeko (Striker, Roma) – The Bosnian striker is indeed in red hot form scoring a hattrick against Viktoria Plzen. An excellent display of strength, movement and clinical finishing was fully deserving of the match ball. He had 7 shots on target and could have scored more. It only took three minutes for him to work some space and slot home, before chesting down and lashing into the back of net shortly before half time. Deep into stoppage time he rose to meet a corner and seal his hattrick. Paulo Dybala (Second Striker, Juventus) – He was phenomenal in this match. He scored a incredible hattrick on a day when his team was without the Portugese talisman Cristiano Ronaldo. He was by the far the most dangerous player on the pitch in this match and at times it seemed like Juve never even needed anybody else on the ball.Dybala earned the man of the match in this one and will make it tough for Coach Allegri to leave him out of the lineup in the future.